fully qualified Landscape Architect with a B.A. (Hons) and a Grad. Dip. in Landscape Architecture, Dave holds a full corporate membership with the Irish Landscape Institute. He has over 17 years of experience of working in Ireland, Sweden and Britain and also has qualifications in Architectural Technology. Daves has broad interests in Architecture, Heritage and Planning. Daves Landscape Architecture studio opened in 2010 and has a broad range of services on offer. Working from a central location in Georgian Limerick, has proved great for networking with other professionals, Architects, Engineers and Quantity Surveyors,etc.. Dave believes strongly in collaboration with others, and has built many strong relationships with contractors and professionals offering quality services over the past years. Dave is involved with Tidy Towns in Limerick, working on the ground with local groups. Together with a small group of Landscape Architects he has started a South West Chapter of the Irish Landscape Institute, still in its infancy, but has already held two successful events. 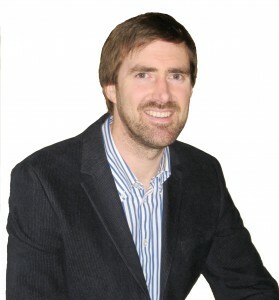 Dave hails originally from North Cork and much recent work has been carried out in Tipperary, Limerick, Clare and Kerry. Dave takes on projects nationwide and works with both conservation and contemporary projects. Dave is influenced by the specifics of the project brief, site micro climate and existing site charachter. Dave always puts a lot of emphasis into a good Site Survey and Analysis of the Site conditions, always trying to interpolate a design, based on accurate information, something Dave was always keen on from his days as an Architectural Technician. ompleting Architectural studies initially in Cork RTC in 1991, Dave went on to study Landscape Architecture in Leeds, England and Uppsala, Sweden, and professional Landscape Institute exams completed in Dublin. With gap year and student work experience in Hartford Connecticut, Cardiff Wales and Nantes France, Dave enjoyed an international flavour to his education. Living with and learning from such a broad cross section of friends, tutors, trainers and mentors has given Dave an open minded perspective and an ability to enjoy working with different cultures and communities. Daves initial professional experience was with a Landscape Contractor in Stockholm Mikado Mark och Tradgard, who carry out work for a huge selection of private clients including the Persson family (H&M), Swedish business family the Wallenbergs, many projects by Ulf Nordfjell the Swedish Garden Designer, and many others. In 2001 Dave joined J&W a Swedish Engineering company which had a substantial department of Landscape Architecture. In total Dave spent 6 years working in Stockholm, Sweden, learning the language and working with a fantastic variety of projects. J&W was taken over by the international company WSP and the company went through several reorganisations in the time Dave was there. Projects Dave was involved with included: Public squares, Street refurbishments, Perennial planting schemes, Tree surveys and Maintenance plans. The practice of Landscape Architects working closely with Engineers was a very positive experience, the many successful projects being the product of that cooperation. I had a great relationship with my colleagues from the start, and still have contact with many of them. I was delighted to show a large study group of WSP employees around Dublin in September 2012. And for the brilliant Garden Book author Torsten Wallin I have contributed illustrations and photographs for 2 of his recent Garden Books. Moving to Limerick in 2007 with a local company, I began work on the expanding University of Limerick Campus. Projects involved with include: Kemmy Business School, Western Car Park, Campus Design Guidelines and All weather Sports Complex with Pavillion. The University campus is the product of quality Planning and Design where Landscape Architects make a very positive contribution. The methodology of working in Ireland was somewhat different for me and what I learned with UL was the importance of overseeing and certification of work, checking quality of soil and plants. The Landscape Architect has to be given an overseeing role in order to ensure a quality product is achieved.